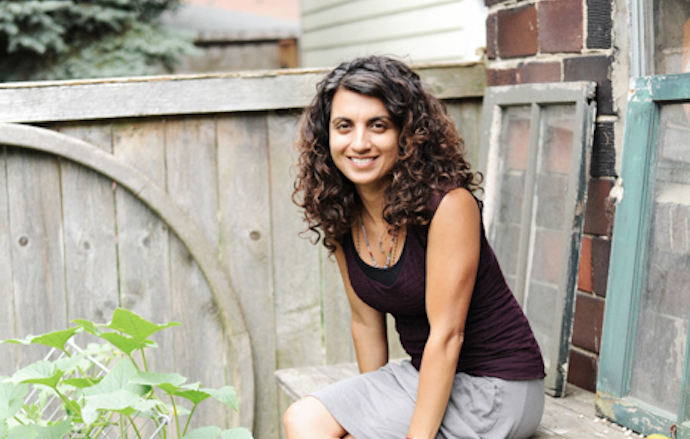 Dr. Geeta Maker-Clark is a board certified integrative family physician, coordinator of Integrative Medical Education, co-director of the Culinary Medicine program, and Clinical Assistant Professor at Pritzker School of Medicine, University of Chicago. She delivers babies and prenatal care, is a certified prenatal yoga instructor, and teaches residents and medical students. Dr. Maker-Clark has always held the belief that any meaningful healing must involve the mind, body and spirit, and that whenever possible the most natural and least invasive intervention serves the highest good of the patient. She has pursued studies with traditional healers in India, midwives, herbalists and energy healers and has found that the practice of Integrative Medicine, bringing together the best of conventional medicine and alternative therapies, offers an opportunity for healing, wellness and disease prevention that neither modality can achieve alone. For this reason, she spent 2 years training at the University of Arizona Fellowship in Integrative Medicine, under the supervision and mentorship of Dr. Andrew Weil, a world renowned pioneer in this field. Dr. Maker-Clark relies heavily on the use of food as medicine in her approach to healing, as well as herbs, botanicals, breathwork, conventional medicines and healing practitioners in the community. She has taught on the use of food as medicine at hospitals, schools, residencies, conferences, farmers' markets and yoga festivals. Her workshops in the Chicago area, taught with Chef Ellen King, are well loved in the community. Recently she has started to teach on the importance of food, plants and dance as a means of accessing healthful medicine at low or no cost, and with excellent sustainable benefits.